London Fat Duck is was a joint venture between the Fei Siong and Akashi groups when it opened last year. The partners have since parted ways and while London Fat Duck expanded its presence from Scotts Square to VivoCity and Waterway Point in Punggol, Fei Siong has opened Royal London Duck on the 4th floor of Mandarin Gallery where jones the grocer used to be. It can also be found at Centrepoint, Compass One in Sengkang and West Mall in Bukit Batok with plans for another branch at Millenia Walk. When we visited the Cantonese restaurant at Mandarin Gallery for dinner on a weekend, only a few tables were occupied. 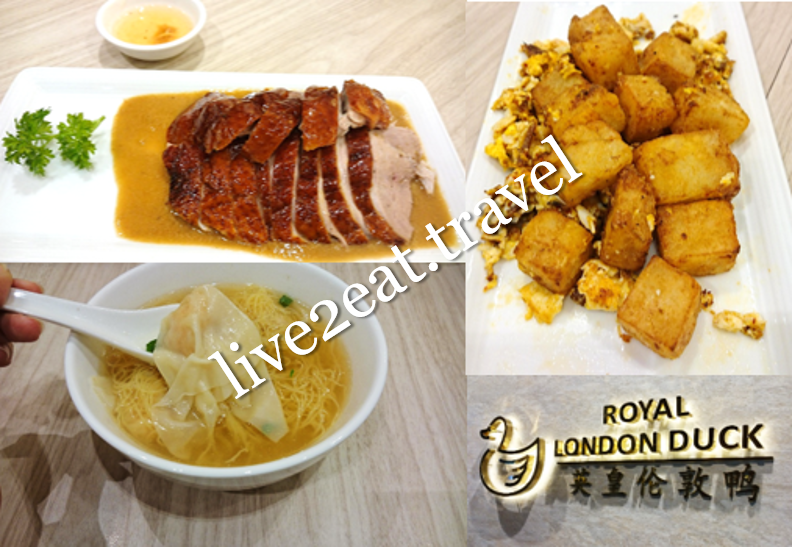 Could neither rave about its Royal London Duck (do not expect crispy roast duck skin) nor fault the succulent Prawn Wanton Noodle Soup except that its portion was a tad small. Loved the wok-hei and aroma of egg in its XO Sauce Fried Turnip Cake which had a crisp outside with soft, not mushy, insides. A satisficing hassle-free meal right smack in the middle of Orchard Road.